Tomorrow, October 7, is the Marian feast of Our Lady of the Rosary, and although I have written quite extensively on this topic in the past, it’s fitting yet again to draw upon the words of one of our most recently declared saints, and for many of us, our beloved saint, Pope John Paul II. 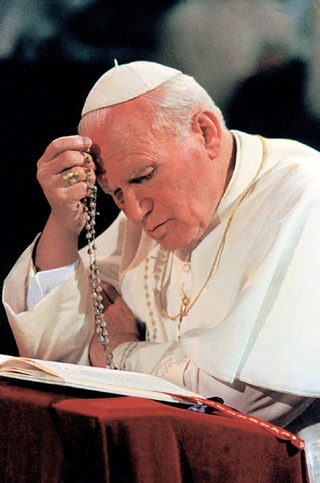 His love for the Rosary and the Blessed Virgin Mary has inspired many Catholic Christians across the globe to also have a devotion to Mary through the Rosary. If you follow the Facebook page, My Mother Mary, you will see that the administrators every day whether they are home or traveling always find the time to pray the Most Holy Rosary of the Blessed Virgin Mary. As prayer should, it has become ingrained into their daily lives. “As a Gospel prayer, centered on the mystery of the redemptive Incarnation, the rosary is therefore a prayer with a clearly Christological orientation. Its most characteristic element, in fact, the litany-like succession of Hail Mary’s, becomes in itself an unceasing praise of Christ…The Jesus that each Hail Mary recalls is the same Jesus who the succession of the mysteries proposes to us – now as the Son of God, now as the Son of the Virgin…at one time there was a custom, still preserved in certain places, of adding to the name of Jesus in each Hail Mary reference to the mystery being contemplated” (#46). 1. “You show your devotion to Mary by celebrating her feasts, by daily prayer in her honor and especially the rosary, and by imitating her life. May that devotion grow stronger every day” (Manila, Philippines, 1983). 2. “Turn to Mary most holy, your heavenly, Mother; pray to her with fervor, especially by means of the rosary; invoke her daily, in order to be authentic imitators of Christ in our day” (Nuaro, Italy, 1985). 3. “Mary enters the house of her relative, she greets Elizabeth, and hears her words greeting. These words are familiar to us. We repeat them innumerable times, especially when we meditate on the mysteries of the rosary: ‘Blessed are you among women, and blessed is the fruit of your womb’ (Lk. 1:42). That is how the wife of Zachary greets Mary” (Altotting, Germany, 1980). 4. “The rosary is the prayer through which, by repeating the angel’s greeting to Mary, we try to draw considerations of our own on the mysteries of Redemption from the Blessed Virgin’s meditation. Her reflection began at the moment of the Annunciation and continues in the glory of the Assumption” (L’Osservatore Romano, 1983). 5. “…In harmony with the tradition of many centuries, the Lady of the message indicates the rosary, which can rightly be defined as “Mary’s prayer”: the prayer in which she feels particularly united with us. She herself prays with us. The rosary prayer embraces the problems of the Church, of the See of St. Peter, the problems of the world. In it we also remember sinners, that they may be converted and saved…”(Fatima, Portugal, 1982). As we celebrate Our Lady of the Rosary tomorrow, let us keep in our hearts and minds the words of Pope St. John Paul II, asking for his intercession and the intercession of Mary under her title of Our Lady of the Rosary. Also, feel free to share this post and these quotes on your social media sites in order to evangelize the world of the importance of the Most Holy Rosary of the Blessed Virgin Mary. All Praise and Glory to Jesus Christ Now and Forever! Amen. 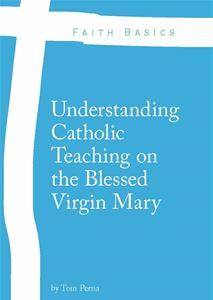 Bunson, Margaret R., John Paul II’s Book of Mary. Our Sunday Visitor. 1996.